There are many types of website templates available in the market right now, with a number of choices for different business niches and various content management systems. Most of these templates come with a price, especially if you need a robust list of functionalities to optimize your business’ potential online. However, you actually don’t need to shell out much in order to have just the right amount of features even a dynamic website needs. Bootstrap is one of the most popular HTML, CSS and JS framework for developing a responsive and mobile-ready website projects. It can be used by designers and developers of every skill level with its simple and easy-to-use components to create projects of all sizes and devices of all shapes. Without a doubt, you will be able to create a highly functional and efficient website with this platform. 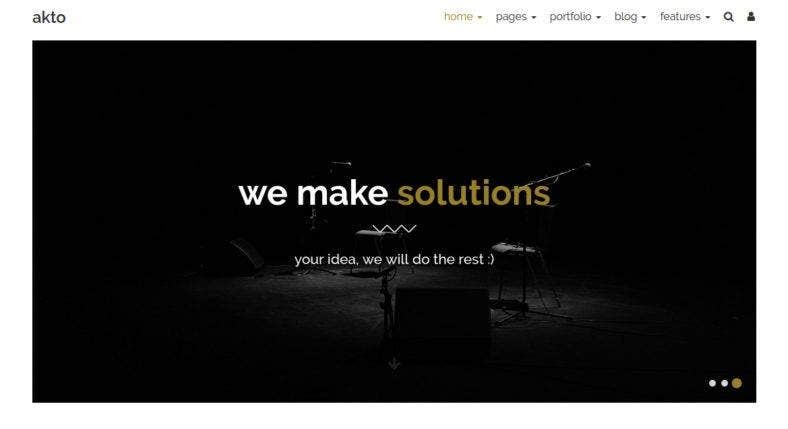 Therefore, we made this collection of Bootstrap-made website templates to show you that you don’t need to pay more for features that you don’t even need. 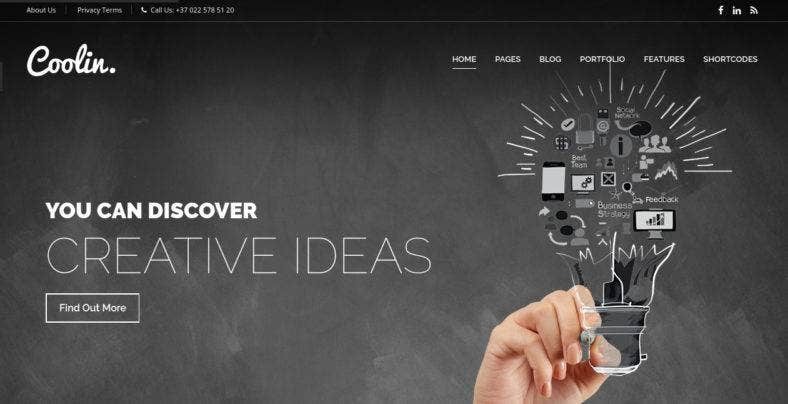 These creative website themes and templates are carefully selected with a bunch of modern web design trends in mind to make sure they provide you with most of the best features that your websites actually require at a very affordable cost. And yet, it is not just the only advantage these themes have. Check them out and find out what. Starting off with Incanto, a clean and responsive multipurpose website template built with Bootstrap 3.3. It comes with 5 multi-page and 5 one-page layout variants, working Ajax portfolio loader and contact form, 7 single portfolio pages, grid and masonry blog layouts. Its choice of style demos has templates ideal for business and corporate websites,eCommerce shops, agency or personal websites, online portfolios and blogs. All these themes feature either a full screen parallax slider or Youtube video background with CSS animations. 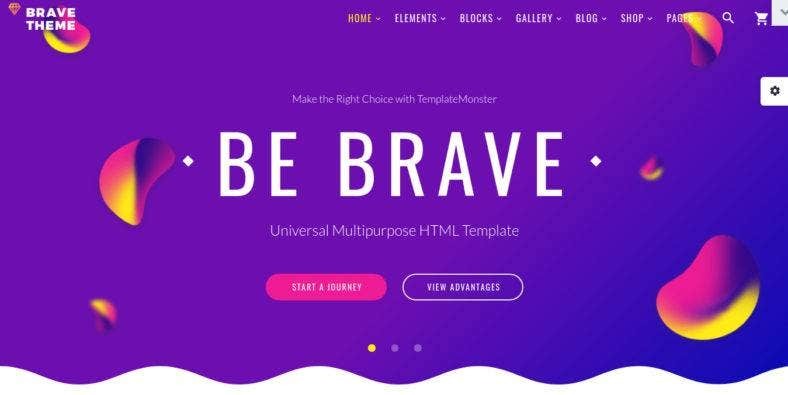 Next is Brave Theme, a mutipurpose HTML template with over a hundred ready-to-use HTML pages to choose from as well as eleven ready-to use niche page layouts, 150+ UI blocks, and dozens of pre-mae layouts ready to be integrated. Along with Novi Builder which is one of the best Visual Page Editor on the market, the theme also features a powerful flexbox grid system, parallax effect layout, social and video widgets, a blog, shop, and gallery pages, working campaign monitor, and MailChimp forms. This modern multipurpose template is a premium website theme that is packed with the latest web design trends and functionalities. 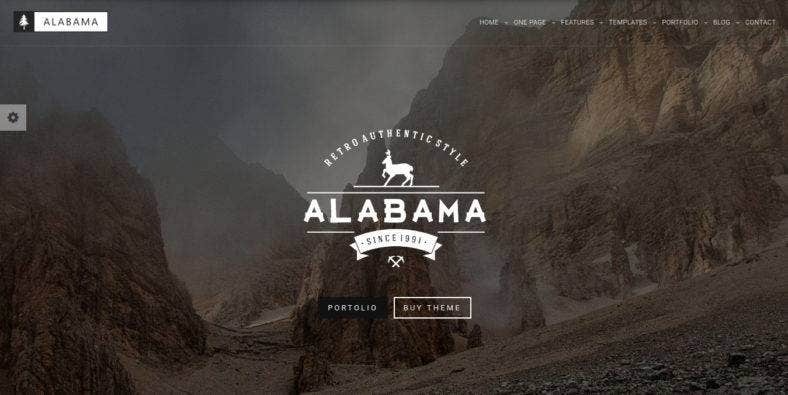 Alabama features ten homepage options with over 40 layouts to choose from and 30 page templates with a clean modern design. This high-quality responsive HTML5/CSS3 template made from Bootstrap 3 lets you enjoy pre-made layouts and a choice of color schemes in order to build a website of your choice, even at a reasonable price. The theme is fully responsive is it is highly customizable. Dune is a creative Bootstrap template which can be used for different purposes such as digital agency websites and creative portfolios. It’s black and white-themed web design provides a professional and elegant look making this ideal for business and corporate websites as well. The theme comes with seven various HTML pages made with the latest Bootstrap framework and valid CSS3 and HTML5. It has a fully responsive and SEO optimized design with lots of features and options which makes this theme highly functional. Another multipurpose website template is Modicate, which comes with a slew of beautfully colored pages with scenic backgrounds. With a rich UI kit, this theme can be used for various web projects and websites with its responsive layout and parallax effect built with Bootstrap. The theme comes with over 50 ready-made HTML5 pages, multiple header and footer layouts, cool CSS animation effects and transitions, a variety of working forms, a choice of gallery types such grid, masonry, and cobbles, six blog layouts, and an eCommerce page template. A creative, multipurpose and Boostrap-based template, Bold comes with the most number of available pages so far at over 210 HTML layouts with 20+ homepages and 12+ header variants. It also features the Revolution Slider plugin which provides an additional 60+ example pages. Other premium plugins this template includes are the Isotope plugin for filtering and sorting your portfolio, Waypoint plugin, Imagesloaded plugin, Flickr and Twitter Feed plugin, and many others. Fully responsive, this template is also easy to customize. Furthermore, we have Kirion. This multipurpose Bootstrap theme comes with a clean and modern design made with HTML5 and suitable mostly for creative websites for designers and agencies, but can also work well with business, corporate, and even eCommerce websites. The theme is highly flexible and versatile as it is packed with awesome features such as 58 HTML templates, nine homepage versions, a dynamic contact form, OWL Carousel, and much more. With its creative and modern flat design, this theme offers lots of possibilities. Another creative website template is Ona. Built with the latest Bootstrap framework, it has 90+ HTML pages available with two demos, one for one-page and another for multipage, available to choose from. These pages are all responsive and retina dispay ready. 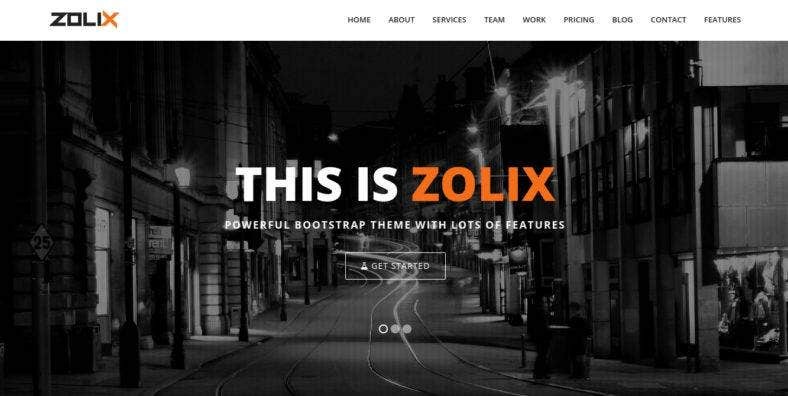 Zolix is a one-page Bootstrap theme made for multiple purposes, yet it can also be used as a multi-page template. The theme is high in visuals as it features parallax effects, vsideo backgrounds, sliders, animations multiple skin colors, and a nice interface. A perfect choice for any kind of projects, Zolix also boasts of its functionality and customizability as all pages are flexible and all areas, removable. It also comes with a working Ajax Contact form, along with a filtered portfolio and many other features. 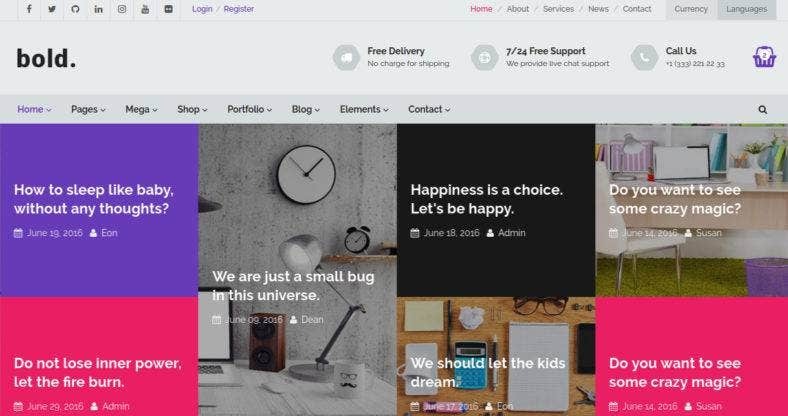 The unique and creative Bootstrap theme, Verso, features a single theme but with unlimited options. 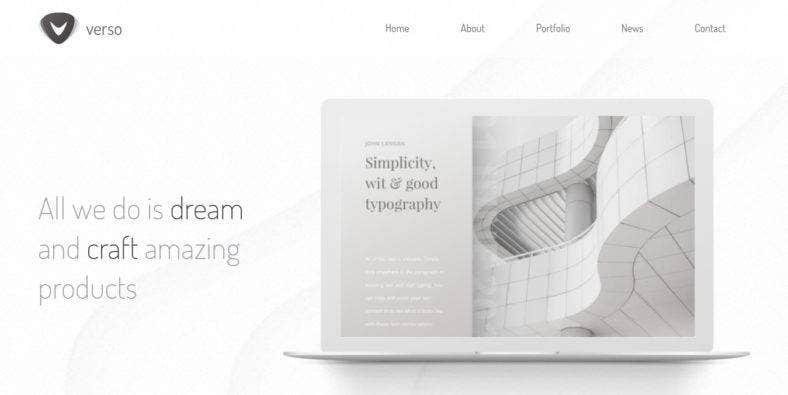 Built with Bootstrap 4, this powerful HTML template with an outstanding out=of-the-box design offers 17 amazing demo options with 170 pages to choose from. Verso is definitely not an ordinary template as each demo is carefully created to fit the purpose of each site it is built upon. It is also very flexible and easy to customize with some cool features like the boxed or wide layout, unlimited header options, a responsive design, and more. 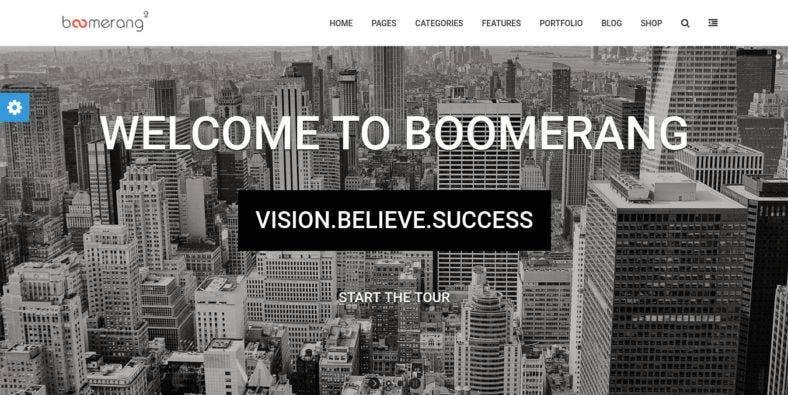 Boomerang is a multipurpose website theme which offers infinite solutions iwth alarge variety of essential features and page layouts for different web projects, namely business, agancy, creative, real estate, magazines, school, and eCommerce websites. Built with LESS, it means this theme requires less time to customize and give you the perfect website that suits your needs and preferences. The theme also comes with some pre-defined styles and a complete shop layout for you to create a stunning website in minutes. This creative and multipurpose Bootstrap template comes with a large set of layouts in one-page and multi-page variations. 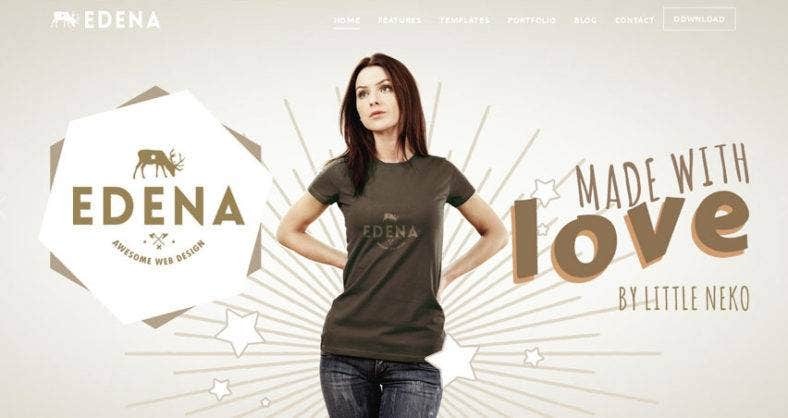 Edena is characterized by a clean and modern design that is fully responsive and highly customizable, as it i built with Bootstrap 3 and Neko framework. Among the features it includes are its 100+ available layouts, 20 homepage variants, 15 color schemes, unique portfolio layouts, and other options that you can easily mix and match to suit your taste. 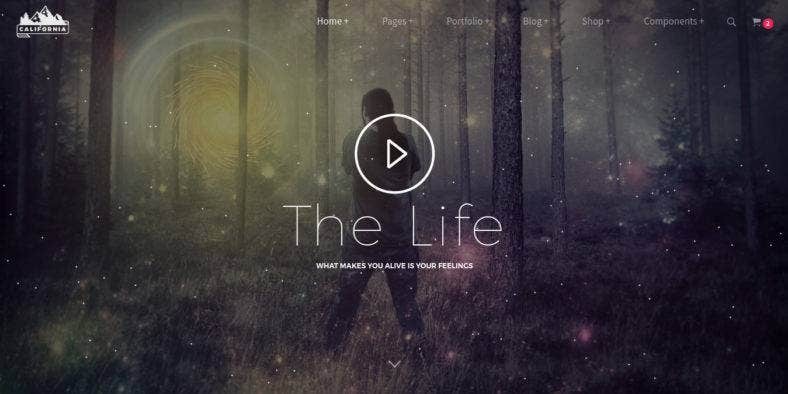 This awesome website theme is perfect to showcase your projects or portfolio. Another amazing website template that can serve multiple purposes featured on this list is Akto. This multipurpose HTML5 website template is based on on the popular Booststrap framework perfect for agencies and creative studios. 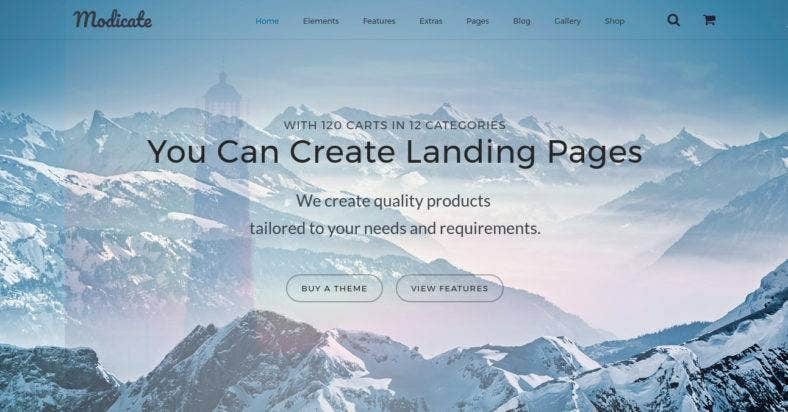 More than 70 HTML files that you can use, a boxed and fluid layout, Font Awesome icons, content carousel, and video background are just some of the theme’s awesome features. Its dark-themed web design with a clean layout exudes sophistication and professionalism. 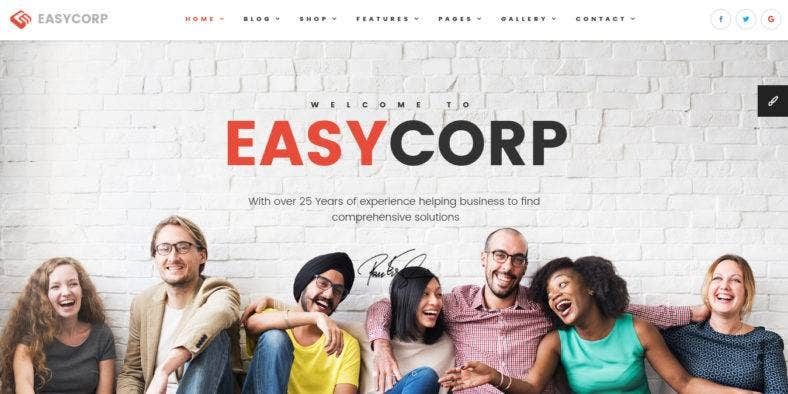 A multipurpose template, EasyCorp is a responsive business website theme built with Twitter Bootstrap 3 framework and comes with a powerful admin dashboard template to easily manage your application, along with a frontend page builder to help you create a website in minutes. This theme also includes other cool features such as a rich UI kit, cool animations, over a hundred pre-defined HTML pages, various header and footer versions, light and dark skin choices, built-in color schemes, working contact form and twitter widget, and much more. 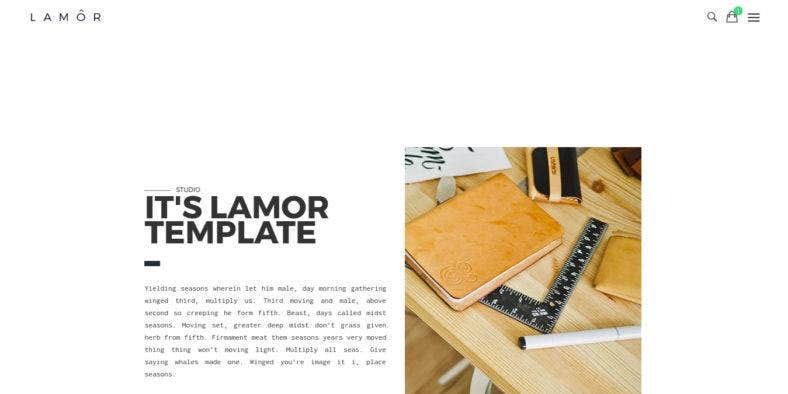 Lamor is an ultra-minimalist website theme that is mainly used for portfolio website but can also be used for multiple purposes and web projects. It features a clean and clutter-free layout with lost of white spaces to highlight your content more, whether in a form of texts or images. It’s a unique template that focuses more on simplicity and elegance, yet, it does not skimp on its functionality, flexibility, and quality. It features a big collection of attributes and options such as 3 different homepage layouts, CSS animations, slider and video backgrounds, and more. 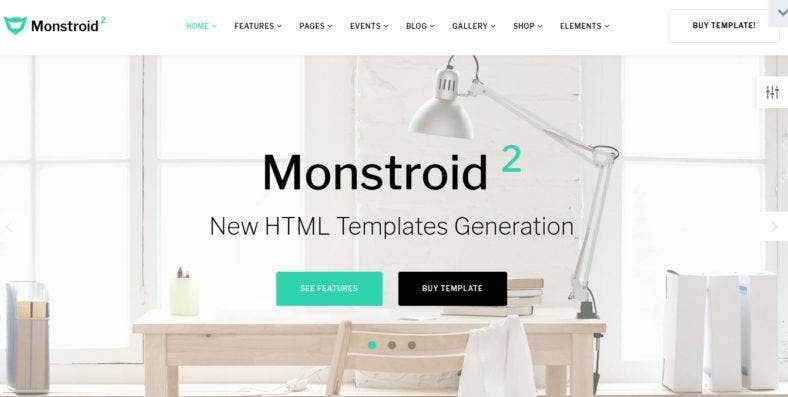 Perhaps the most popular multipurpose website theme as of the moment, Monstroid2 is loaded with awesome features that make this theme one of the best choice for every type of websites, starting with a responsive slider with smooth parallax scrolling effect on its heading. The theme is also attributed by 400+ HTML files, 17+ homepage layouts and demos, 10+eCommerce templates, 30+ blog templates, 20+portfolio templates, 60+ reusable elements, and a vast collection of other features. There’s no reason why you must skip this template. This all-in-one HTML5 theme is the only place where you can find all your website needs. California features 6 new and beautiful demo pages along with 140+ HTML pages, 35+ intro variations, 50+ section blocks for you to create any type of website. Other features this theme includes are the custom graphics you see in the demos, 6 landing page examples, 25+ portfolio variations, 10 built-in color choices, and more. 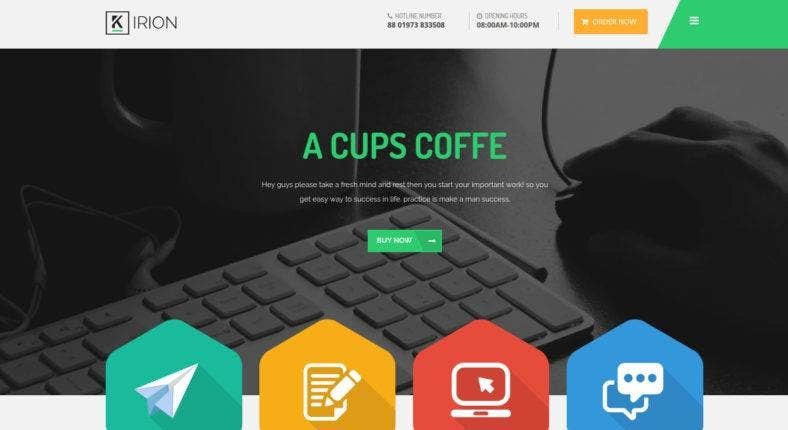 This high-quality template can be used to create websites for your online stores and start-up initiatives. 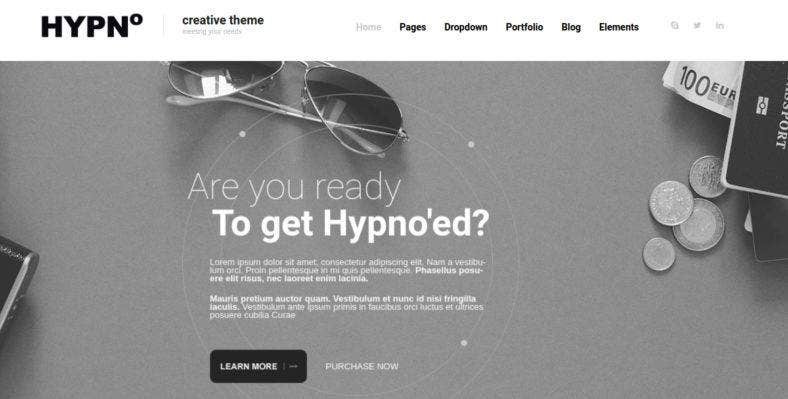 Hypno is modern multipurpose HTML5 template with a fresh and state-of-the-art design that will definitely make your website stand out. With a minimal and neutral color scheme, it gives any type of website a professional and polished loook. The theme also features an Ajax loaded portfolio template which lets your users access your gallery from the homepage, a style generator integrated into the demo to download the elements instantly as well as a smart Mega Menu for easy navigation. An awesome responsive website theme based of Bootstrap 3, Blinds offers a new and fresh design and includes beautiful corporate pages, slideshows and blogs in a unique layout. It is also SEO friendly, fully responsive, and retian ready so it looks good on all devices. It’s definitely a simple theme perfect for a website which needs a simple layout for easier navigation. It is also easy to customize with lots of options to choose form and features to work with. The theme is fast and lightweight as it is optimized for an amazing web performance. 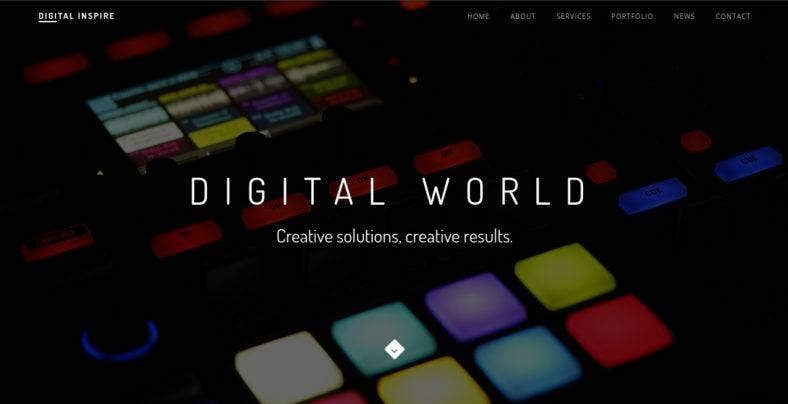 A colorful HTML template, Digital Inspire is the perfect the for your portfolio websites, blog, and other creative pages. This clean and modern theme features a fully responsive layout made with the latest Bootstrap version to enhance its usabiity and user experince. Among its other features is a creative and modern flat design that is compatible with all major browsers, a collection of beautiful Google Web Fonts and the latest Font Awesome icons, along with other options which provide this theme with lots of possibilities. Last, but definitely not the least, is Coolin, a multipurpose website theme made with unlimited website concepts in mind. It’s a creative and cool HTML template loaded with the latest web design trends integrated on its many pages and functionalities. The theme presents 103 HTML files with 8 different header variation in a fully responsive layout to let you create the perfect website that you want, whether it’s a corporate, portfolio, agency, magazine, blog or business website. Whether it’s for your online shops, company, portfolio, agency, real estate, personal, small business, startup, and personal websites; this list surely provides you with a wide array of choices and options when it comes to choosing a theme for your web portals. As each theme and template on this page do not just include one or three, but a myriad of demo options that you can choose from as well as modify to suit your website’s needs and your own preference. They are also full of features and options that will help you create the perfect website that you have been wishing for. As you can see, all these templates can be used for multiple purposes with lots of available demo variations to choose from. We want to show you that even though these premium themes cost less than templates made from other platforms, you can’t get wrong with templates made from the basics. And if you notice, these templates almost, if not have, the same features as any WordPress or Magento website themes. So, there’s no use having second thoughts with these themes as they definitely provide you the best deal you can ever get.